A view looking out on the rotunda from the second floor of St. Louis city hall. The financing package for part of Paul McKee's massive Northside Regeneration Project has gotten the first of two rounds of approval from the St. Louis Board of Aldermen. 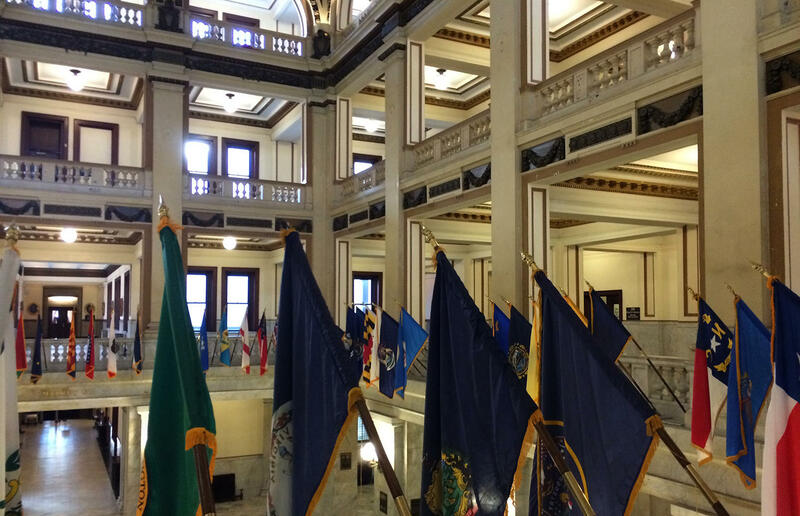 Aldermen on Friday finalized the language for bills authorizing $2.8 million in tax increment financing incentives, and the creation of a new community improvement district, funded through a 1 percent sales tax. A final vote could come next week. Opponents of the projects, like Alderman Cara Spencer, D-20th Ward, said they had no problem providing subsidies and incentives for the grocery store. "I, like every one of my colleagues down here, supports development of the north side," she said. "But this is a TIF for a gas station and a grocery store — a gas station that will be situated just a block and a half from an existing gas station." But the logic of supporters like Alderman Shane Cohn, D-25th Ward, carried the day by an 18 to 5 margin. "Without the help of an additional business to support the infrastructure improvements over there, it could be potentially very unlikely that there would be a grocery store over there," he said. Aldermen agreed to shorten the term of the community improvement district to 16 years from 40 years – a move demanded by the city’s fiscal board. Contractors who bid on major public projects in the city would have to employ more minorities, women and city residents under proposed legislation from Alderman Antonio French, D-20th Ward. French, who is also running for mayor, introduced the changes Friday. Minority participation requirements would rise to almost 38 percent, from 25 percent, and women would have to perform nearly 7 percent of the labor hours on a project, up from 5 percent. At least 23 percent of the workforce would have to be city residents, though someone could count in multiple categories. The most important thing, French said, is that contractors would face financial penalties for not meeting the goals. "The goals to date have basically been suggestions, and we have not seen contractors meeting these goals because there is no consequence for not doing it," he said. The Association of General Contractors said it is still reviewing the proposed changes with its members, and had no comment on them. Also on Friday, Alderman Dionne Flowers, D-2nd Ward, introduced legislation that bans the sale of tobacco products such as cigarettes, chewing tobacco and electronic cigarettes to anyone under the age of 21. Similar legislation sailed through the St. Louis County Council in September. Updated Sept. 20 with high court ruling – Within the past 24 hours, the Missouri Supreme Court has taken actions guaranteeing that two disputed ballot initiatives will go before voters in November. The most recent action came Tuesday afternoon, when the High Court unanimously ruled in favor of Amendment 3, which would raise Missouri's cigarette tax by as much as $1.27 a pack. It would use the proceeds to fund early childhood education programs, and would bring in an estimated $300 million a year. 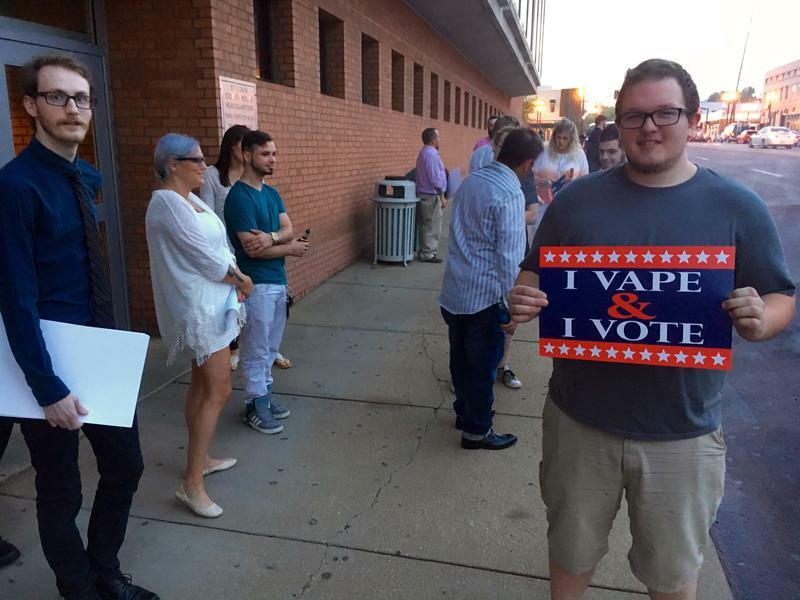 Updated 7:50 a.m., Sept. 7 with council approval - The minimum age to purchase tobacco and vaping equipment in St. Louis County is about to change. The county council has voted in favor of an ordinance increasing the age from 18 to 21.